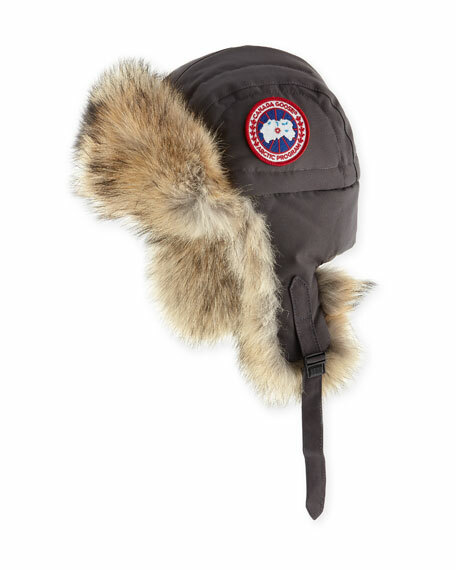 Canada Goose basket-stitch toque hat. 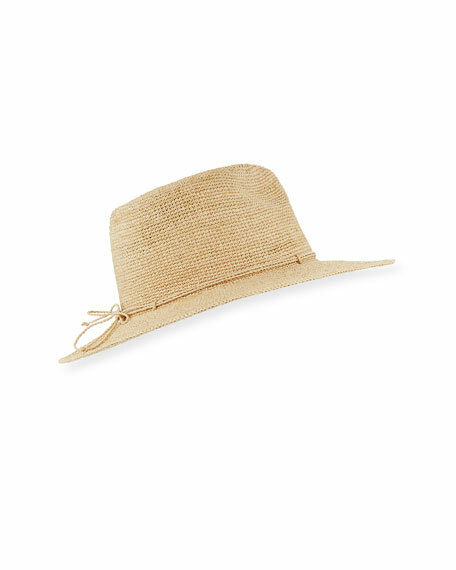 Helen Kaminski "Desmonda" sun hat in raffia. Inner neoprene band for comfort. Tied raffia band at break. Rollable and packable. 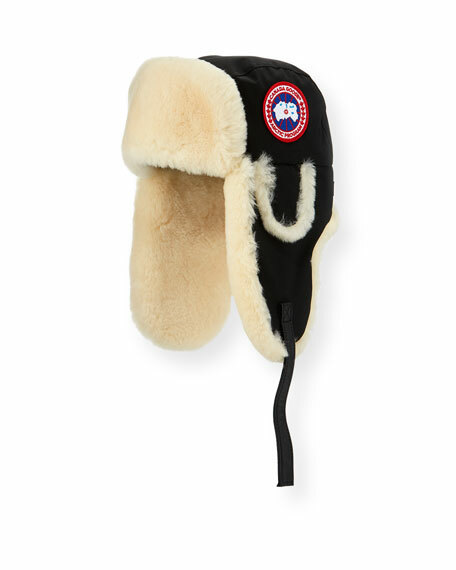 Includes cloth logo bag. Flat crown. 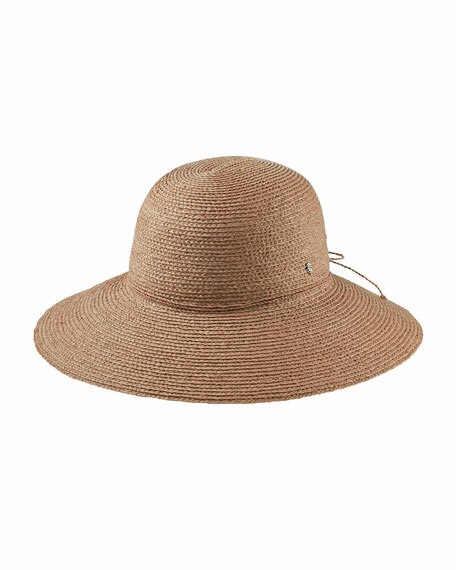 3"L downturn brim. Imported.